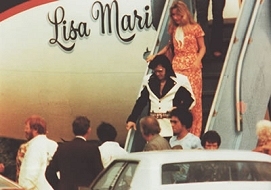 Elvis Planes Elvis Helicopers Lisa Marie Jet Plane Graceland released a statement saying the Lisa Marie and the Hound Dog II, two planes once owned by Presley, will remain permanently at the Memphis tourist attraction. 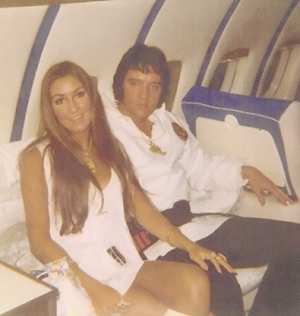 The larger plane, a Convair 880 named after Presley’s daughter Lisa Marie, is like a customized flying limousine, complete with a large bed, a stereo system, conference room and gold-plated bathroom fixtures. It was renovated after Presley bought it from Delta Air Lines. 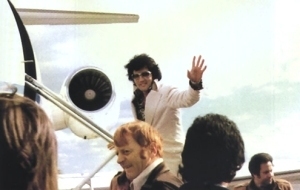 Presley took his first flight on it in November 1975. For 30 years, tourists from around the world have paid to get a look at two airplanes once owned by Elvis Presley at Graceland in Memphis. 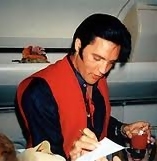 Fans enjoy touring the planes for their direct connection to Presley and his jet-setting lifestyle, a sort of touchstone to the life of the King of Rock n Roll and his family. Elvis Presley Enterprises, which operates the Graceland tourist attraction, has written to the planes’ owners saying they should prepare to remove the jets from Graceland by next spring. The planes have been a major tourist attraction since the mid-1980s. They had been sold after Presley’s death, and were eventually purchased by OKC Partnership in Memphis. OKC Partnership and Graceland agreed to bring the two jets to Graceland. 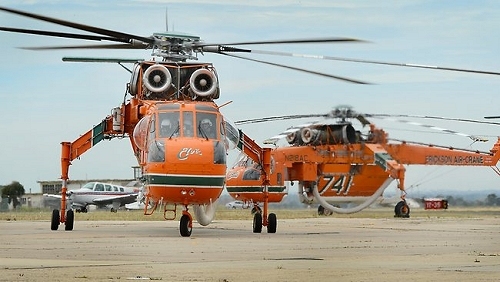 T he agreement called for OKC Partnership to receive a cut of ticket sales in return for keeping the planes there. Elvis took great pleasure to check on progress as the interior of the plane was refurbished to his very specific design requirements. Elvis wanted a seating area, a conference room, and private bedroom on the plane with space for an in-flight reading library. He picked fabrics, decided on color schemes, chose the on-board audio-visual system, and even selected the gold fixtures in the bathrooms. 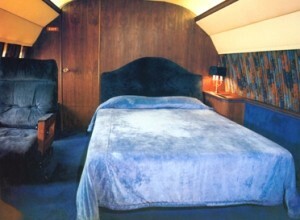 The Lisa Marie was customized with plush sleeping quarters, a penthouse bedroom with a custom-made queen size bed, an executive bathroom with gold faucets and a gold washbasin, a videotape system linked to four TVs and a stereo system with fifty-two speakers, and a conference room finished in teak. It could hold a maximum of 29 people, usually there would be about eight or ten that travel with Elvis. 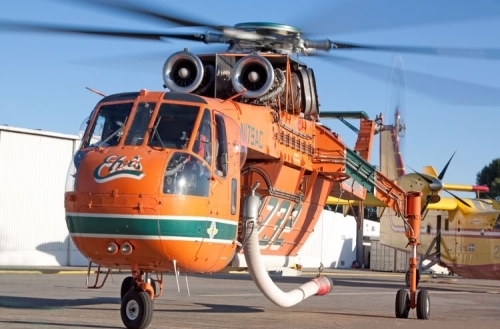 When the final paint job was applied to the exterior, there was a prominent ‘TCB’ logo on the tail.